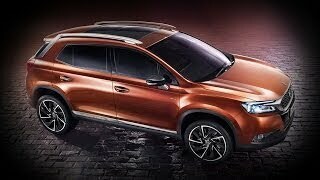 Citroen finally came up with the production version of its Wild Rubis Concept at the 2014 beijing motor show. 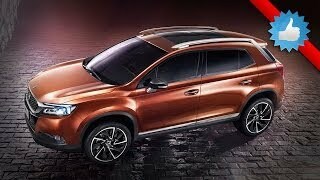 The model though is specially designed for the Chinese market but its design is gaining accolades all across the automotive market and car lovers. 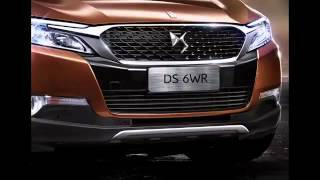 Let us have a close look at the review of Citroen DS 6WR 2015 to know more about its design and other features. The all new Citroen DS 6WR 2015 is designed in Paris and carries a rebellious yet sophisticated touch. Though we do not have any interior details of Citroen DS 6WR 2015 as of now but the exterior of Citroen DS 6WR 2015 looks truly gorgeous. Starting with the front fascia grille comes with a new design and holds new DS 5LS badge, marking the new entity through chrome finished wings that connect the headlamps. Lights for this model come equipped with Xenon technology and get presented in tuning-fork layout. Looking through the sides the signature aluminum bars with chrome finish mark entirely distinct entity of the SUV while the rear end taillights look aggressive with their elongated shape, as if hugging the tailgate. Rear glass comes adored in chrome while the logo at the back comes with 3D design of lights around. 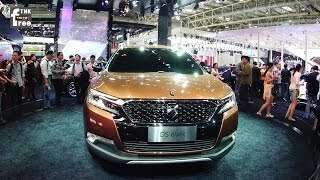 In all the exterior of Citroen DS 6WR 2015 looks bold, aggressive yet elegant and looking the same people have huge expectations from the interior of Citroen DS 6WR 2015 as well. Beneath the hood of Citroen DS 6WR 2015 you’ll get a 1.6 liter THP four cylinder turbocharged engine generating total output of 200 hp and peak torque of 274 nm. Apart from this company also provides two other options, with engines generating 139 hp and 163 hp and peak torque of 170 nm and 240 nm respectively. While the former is a 1.8 liter engine there is no such update in terms of latter apart from it being an e-THP engine.